The Bluejays beat South Dakota 3-0 in its opening match of the nCAA Tournament. OMAHA, Neb. 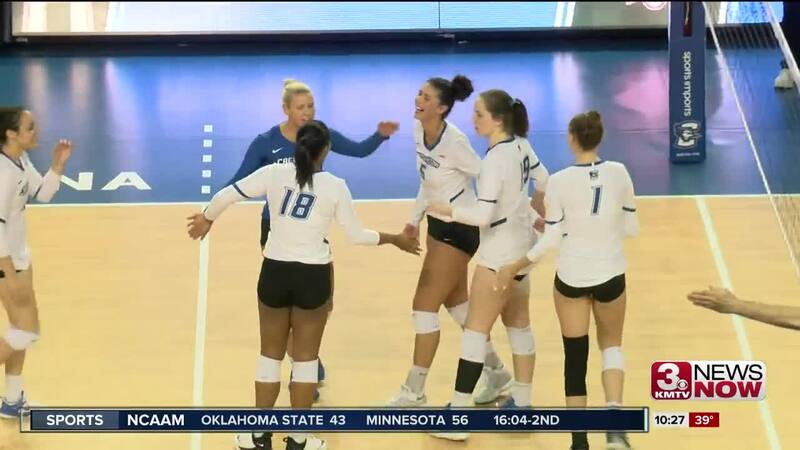 (KMTV) — Creighton volleyball came away with the three-set sweep (25-14, 25-14, 25-22) over South Dakota in the first round of the NCAA Tournament. Taryn Kloth led the charge for the Jays with an impressive 16 kills on 23 attempts. Jaali Winters wasn't too far behind with her 12 kills on 34 attempts. On the defensive end for Creighton, Samantha Bohnet led the way with 12 digs. The Jays will take on No. 22 Washington in the second round of the NCAA Tournament tomorrow at DJ Sokol Arena at 7 p.m.